Txikiteo, in Basque, means the feeling of the pub crawl, of sharing wine and tapas with friends, and from there — who knows where the night might lead? We asked friends and neighbors of The Modern to pronounce Txikiteo! So, who said it best? Watch and vote for your favorite Txikiteo video below. The most popular will win a weekend at the new Modern Hotel Apartments! Vote for your favorite Txikiteo pronouncer! 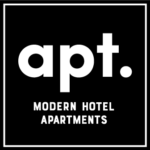 The most popular video will win a night at the new Modern Hotel Apartments. Posted in DRINK, EAT, Modern Hotel Stories.